Thank you very much for your continuous use of Pro-face products. We have confirmed a symptom of improper communication on Multi-Converter for FANUC (model: PFXLM4B01DAKFF). The symptom and corrective measures for this problem are indicated below. When multiple Multi-Converter for FANUC models (model: PFXLM4B01DAKFF) are installed on the same network, proper communication might not be made. A part of software for the Multi-Converter for FANUC model caused this. Update to the latest Multi-Converter for FANUC update module following the procedures below and transfer it to the Multi-Converter to avoid the symptom above. Download the Ver.4 Multi-Converter for FANUC update module. Referring to the page 40, [ 8.9 Transfer] of “Multi-Converter for FANUC CNC Guide” (Manual_mdb_fanuc_technical_guide_en.pdf), install it. 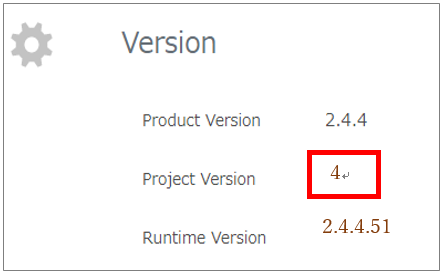 Make sure that the Project Version is “4” referring to the page 33, [8.3 General] of “Multi-Converter for FANUC CNC Guide” (Page 29, on Web Browser). *1 Membership registration (free of charge) is required. If you have any inquiries, please contact our sales office in your region. For contact information, please refer to the "Inquiry" page.